Alex Hansen has wide experience in the field of Traffic Safety Education in Washington State. 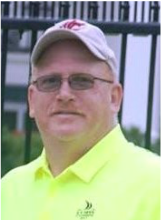 He has taught traffic safety education for 31 years in both public schools and in commercial driver training schools and is now serving his second term as our WTSEA board President. ​Alex worked as a Regional Traffic Safety Coordinator for the Office of the Superintendent of Public Instruction until the funding for the position was cut in 2002. He has been a trainer of trainers, teaching teachers how to become driver education teachers in the public and the private school arena. 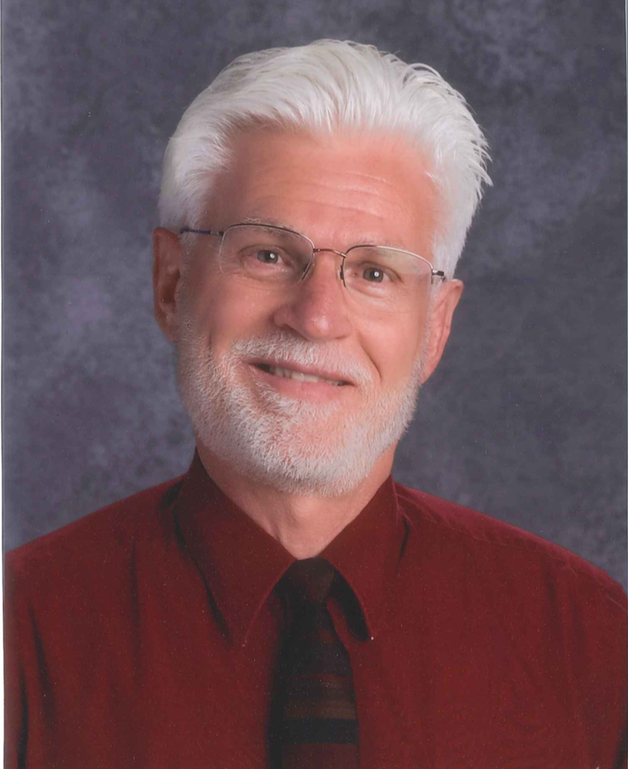 Since 2008, he has been an adjunct professor at Central Washington University, teaching the courses required in Washington for a certified teacher to receive and endorsement to teach TSE in the public schools. Alex has served on the Board of Directors of the Washington Traffic Safety Education Association almost without break since 1988. He is also the legislative liaison for WTSEA, responsible for informing the members about proposed legislation and rules pertaining to TSE, and testifying for WTSEA at public hearings. I graduated from Granite Falls High School in 1978. Went to Wenatchee Valley College for 2 years and played football. Graduated from WSU in 1983 and started teaching at Granite Falls High School that fall. I coached football from 1983 till 1990, was the Head Track coach from 1983 till 1999. Coached Track for Lake Stevens from 2000 till 2012. I am back at GFHS coaching track. This is my 32 year of teaching, currently teaching PE. My wife is a teacher at Lake Stevens High School. She has been there since 1986. My daughter lives in Federal Way and works for Hitachi (she graduated from the UW so we don’t talk about her too much). My son is in his second year of teaching math at Sehome High School and is the assistant varsity volleyball coach. He graduated from WSU, so he’s my favorite. I have an older brother who lives in Seattle, and another older brother who was in the Air Force and lives in Ohio. I enjoy golfing and have played every public/semi-private course in the state – I only have 29 private courts to play. I enjoy fishing also, but never find the time to go. I am married to a great lady, Helen Johnston. I have one daughter, Amy Hickox who is thirty eight years old, married and lives in San Francisco. Plus, we are adopted two greyhounds who have become a loved part of our family. I retired nine years ago from teaching Pacific Northwest History at Shelton High School. I am still teaching traffic safety education at SHS and I work with other TSE programs at the Educational Service District #113 in Olympia. Plus, I was the state SADD coordinator for Washington state. I have taught traffic safety education for the past forty-one years in the public schools. My favorite hobbies are weight lifting, swimming, walking, taking my wife out to a nice restaurant and then going to the show or dancing. I have a Bachelor’s Degree in History and an MA in Curriculum and Instruction with an emphasis in Educational Technology. I retired from public school instruction in 2007, after 36-years. I received my Washington State certification in TSE through Scott Calahan at Central Washington University in 1998. I currently work for the Arlington School District TSE program. I am certified to instruct both Classroom and Behind the Wheel. I have served the past year as the WTSEA Treasurer. My wife and best friend, Teri, has recently retired as Business Operations Manager for an Engineering firm in Everett and she is also a Master Gardener, and she continuously helps me understand various computer software operations in my work for WTSEA. She has also taken on creating and maintaining the website for WTSEA. We enjoy our children and grandchildren as well as traveling and exploring new places together. In addition to my work in TSE, I love to play golf, read and do things in which I can learn. I am a lifelong learner and I am always open to new ideas. I teach a variety of courses for the Industrial & Engineering Technology department as well as coordinate the Traffic Safety and Technology Education programs at Central Washington University. Prior to coming to CWU, I taught traffic safety in five different school districts. My lovely wife, Reena and I have three awesome daughters. I enjoy my girls’ sporting events, hunting, fishing, being up in the mountains, home improvement projects, and spending time with family. I am truly blessed to be involved with the traffic safety community. Traffic safety educators are some of the most dedicated professionals I have been associated with. I am a wife and mother of 2 wonderful kids. I have been an at home mom for the last 8.5 years and just recently started working as a behind the wheel instructor for the Bellingham School District. I am enjoying working, It is a new found passion and love working with the high school age kids. I looking forward to what this new position holds for my future. I have been teaching Driver Ed since 2004. I am currently certified through both the DOL and OSPI. I attend 2 Driver Ed conferences every year plus other courses offered through my school district as to stay up on technology and better ways of instructing teens, making a lasting impact in their lives. I have also worked for 3 school districts at the high school level since 1995. I taught both my sons how to drive a manual transmission (a diminishing option for vehicles these days). I have 5 grandchildren who are fast approaching driving age and I plan to teach them as well. Driver Ed is a passion of mine. My heart is that my students learn to be SAFE, CONSCIENTIOUS drivers at all times, always staying in the driving moment. I retired from the U.S. Army in 1995, graduated from St. Martin’s University in 1999 with a degree in K-8 Education and endorsements in Instructional Technology and Traffic Safety. I have taught Traffic Safety for Alexis Driving School (now closed) and Tumwater SD since 1999. I currently work for ESD 113 teaching at both Black Hills and Tumwater High Schools. Best job ever—I’m having too much fun! I married my wife Patty who is from Mazatlán Mexico in 2005. She became a US Citizen in December 2010. We try to spend one to two months a year in Mazatlan. My wife and I enjoy gardening and garage sales. I also enjoy wood working and automotive work. My garage is larger than my house. I truly enjoy being able to help shape the Washington State Traffic Safety program towards being one of the best in the nation. years. We have two wonderful boys, ages 18 and 21. I am currently beginning a new position as Traffic Safety Coordinator of the Federal Way Public Schools. I have taught in the Bellingham School District for 30 years and still love it like my first day. I have the distinction of having taught at all 4 of our Bellingham High Schools and opened-up Squalicum and the remodeled Bellingham. (Social Studies, Traffic Safety, Education Technology, Leadership) I am a graduate of Bellingham High School (1981), BA/WWU, and MA/City University). I previous taught Traffic Safety from the late ‘80s, the 90’s and early 2000’s – also serving as the District Coordinator until our program closed due to overhead expenses & state funding. In 2018, BSD 501 launched our district-wide Traffic Safety Program (free of charge) to our entire district as a school day curriculum course. ( https://www.wtsea.com/new-course-for-hs.html ) With this start-up, I am the lead class/BTW instructor for Bellingham and Options high schools and the District Coordinator for the program. This amazing vision came from our Superintendent Dr. Greg Baker who sought equity and access, for all of our students, to essential life-skills like driving a vehicle. The Driving force behind our Traffic Safety program is the Bellingham Promise & Project Free Education ( http://promise.bellinghamschools.org/our-promise/ ). BSD 501 Traffic Safety has “Put Wheels on the Bellingham Promise” and we would hope that our lead in WA State “might” revitalize other quality school-based Traffic Safety programs that are accessible to all students. I am overjoyed with this new endeavor in my district and equally excited to serve my region and the State on the WTSEA board.